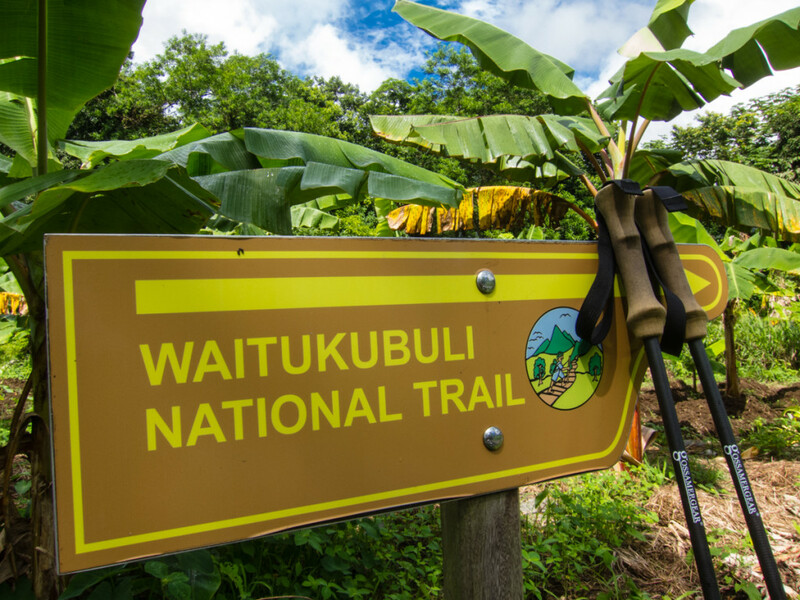 A journal of my 18-day trip to Dominica, which included a 13-day through hike of the Waitukubuli National Trail. Hi Kevin – I came across your journal and just want to know how it worked out – are all sections of the trail ‘complete’ now? I’m hoping to go back to Dominica to hike the WNT someday – hopefully soon! Please email me back and let me know! Thanks! Hi Reed. Sorry for the lack of updates on my blog. It’s been a super busy summer for me so far. I did finish the trail and it was very difficult. The trail is not really complete, if by complete you mean that bridges have been built for water crossings, ropes have been placed for steep slippery sections, etc. It was a frustrating hike for sure. really starting to look forward to this trip! Hi Kevin, what was the most picturesque section in your opinion? Hi Katie. My favorites segments were 4, 12, 13, and 14. I have a question about WNT. while on the trail, did you stay at people’s houses for a night and perhaps warm breakfast in morning before continuing the hike? Is it easy to find such B&B accommodations at local houses, have shower, and refresh that way? If so, how much would that cost? I am trying to find a partner for WNT hike and my friend would prefer B&B type of accommodations on the trail. I didn’t find and use the WNT Research and Interpretation Facility at Pont Casse, but I believe they have a list of B&Bs and can help you make reservations. In the bigger towns is easier to find accommodation, but the smaller ones might not have anything available. They are just not used to seeing tourists. HI Kevin, your trail journal is very helpful (and entertaining! I want to camp in a zoo with rabbits!) and I was wondering if you still had plans to complete it? I am planning to hike the WNT next year so the more information I can get my hands on, the better!!! Hi Natalie. Yes, I do have plans of completing my WNT journal, but not in the near future. Since I’m traveling at the moment, I don’t have much free time, and constantly have new experiences to write about. You are a treasure trove for information! Hi Eric. I sent you the gpx by email. I hope you find it useful. Thanks for taking some of your time to answer me. Unfortunatly, I did not receive your mail, even in the spam…:( Since it may be a typo in my message, i send it back here to you. Regards, Eric G.
Thanks a lot for the gpx! Hi Kyle, unless you are an expert hiker, I’d say that doing segments 7 to 14 in 6 days will be very very challenging. I also didn’t like segments 8 and 9 at all, as I found them long, dangerous, and not rewarding in terms of scenery. I’d instead do segments 3, 4, and 10 to 14. Let me know if you have any other questions! Thanks Kevin! I’m now thinking I’ll start at section 11 in Syndicate and take that to the end and if there’s extra days left over I’ll go exploring around the island. It’s hard to find info on this trail (the official trail website is down). How is camping in those sections? I think I’d rather camp then pay for accommodations in town. I was also wondering about food and fuel? If I should bother bringing a camp stove(not sure what would be available on the island, butane, white gas, denatured alcohol, etc). Do the stores there have a decent supply of food to take backpacking? Or should/could I fly in with my own food? Camping was almost non existent when I hiked. In that section you described, I remember there was camping at the start of Segment 14. That was it. Otherwise, the whole island is incredibly mountainous with almost no patches of flat land in the forest. Things might have changed. They might have build some camping spots, but I doubt it. I don’t remember seeing any camping fuel (but I wasn’t looking either since I didn’t bring a stove with me). And stores don’t have much backpacking food. I remember having a hard time finding anything. They only sell the basics for the local people. Mostly fresh or frozen stuff. Very few things that could last days in a backpack. I ended up eating mostly cookies the whole time. If you could bring your own stuff, especially dehydrated camping food, that’d be best. Hi Kevin, regarding camping…I use a hammock tent (with tree protectors) so camping on uneven ground is not a problem. My question is if wild camping is allowed. Thanks so much! Hi Mary. It should be OK. I almost never encountered other people on the trail (tourists or locals), so even if it’s not allowed, I doubt they’d find out. I camped once next to a farm, and a couple of more times under small shelters (you can tie your hammock on them) without problems. Thanks for all the great info. One more question for now, instead of trying to camp with a tent, do you think using a hammock in sections11-14 would be a possibility? Not sure about places to hang a hammock. You should be able to find a place to camp around Portsmouth. I don’t remember seeing a campsite, but you should be able to ask the locals for permission to camp at their property. They are usually very friendly. Also, sleeping bags or is it warm enough to get by with just a sheet? I used my sleeping bag but only as a blanket over me. I never had to zip it up. Although out is very hot during the day, it can get a bit chilly on some nights. A thin sheet might not be enough. Thanks for getting back to me! You have been very helpful. Flying down there on March 19th! Safe travels to you. You are very welcome. 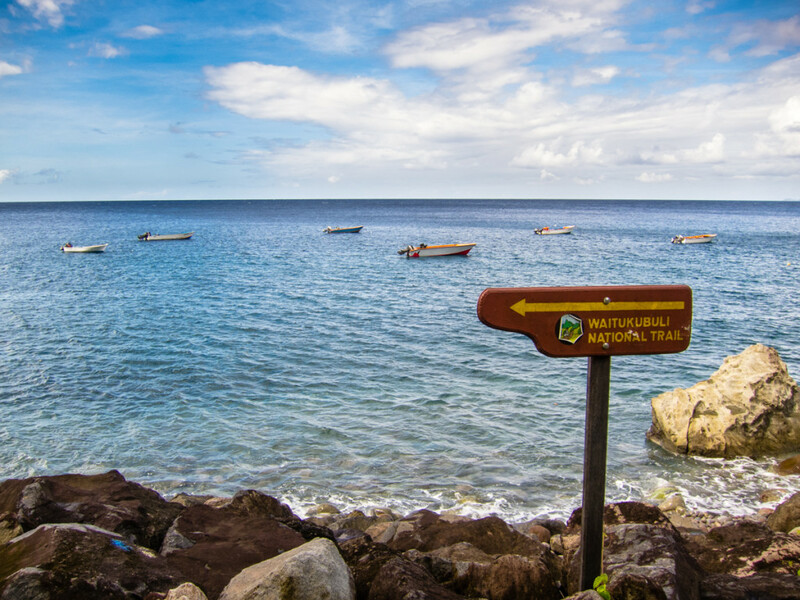 Enjoy your time in Dominica!